Hyster’s new B238 series of 16- to 18-tonne heavy-duty forklifts are designed for use in jobs where robust, heavy duty lifting power is required, such as pipe handling, general cargo, break bulk, lumber, steel and concrete. Hyster-Yale Asia-Pacific big trucks product specialist engineer Gordon Liu says the H16XM-9/12 to H18XM-7.5/9 truck range is based on the smaller Hyster 16XM-6 but engineered with a stretched wheel base to create heavy duty machines for handling increased loads and load centres. The B238 series is powered by a Cummins Stage IIIA/Tier 3 QSB 6.7 engine as standard, with the option of a Stage IV Cummins engine that achieves the emissions standard without the use of a diesel particulate filter (DPF) or AdBlue. The machines feature High Performance (HiP) and eco-mode (eco-eLo) power settings, and have an on-demand hydraulics system that only delivers flow or pressure when required. 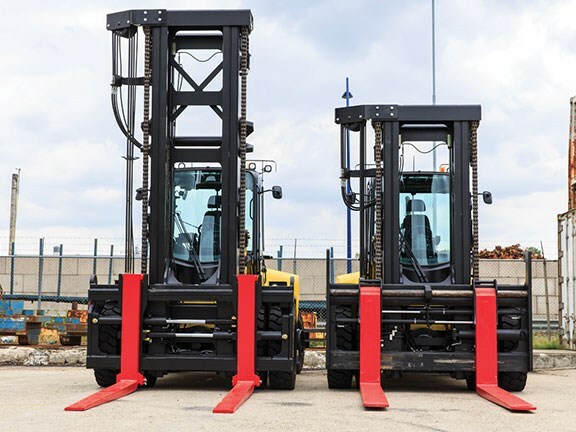 Hyster claims that the B238 forklifts deliver "up to 20 per cent lower fuel consumption than other leading competitor products". 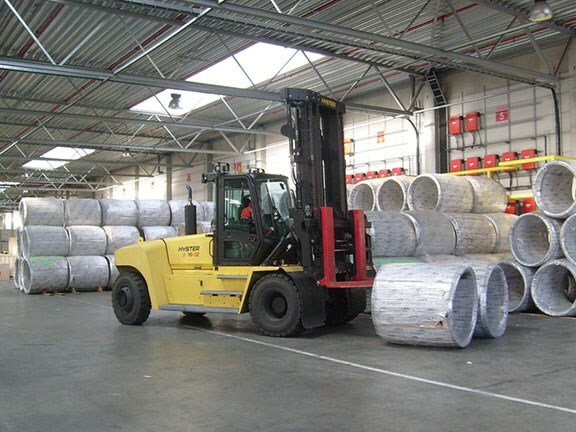 On the structural side, the forklifts have high-strength frames, masts and carriages and have a unique electro-hydraulic system which minimises the amount of hose over the mast, even with complex attachments. Deutsch connectors are fitted as standard for an IP64 rating, along with a heavy duty cooling system. 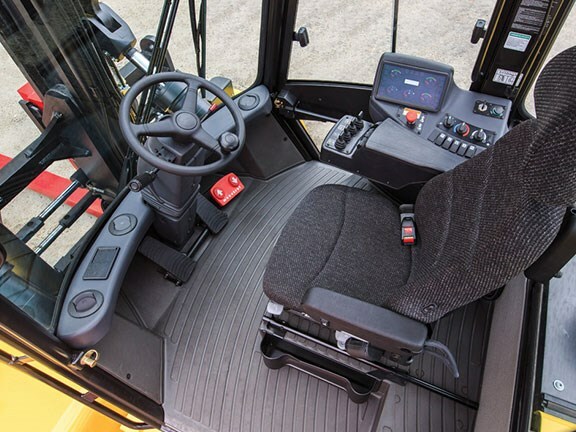 In the cabs Hyster says the trucks feature improved ergonomics, low noise levels and excellent all-round visibility. "There are three different carriage configurations for this series, so basically a customer can pick from these three options depending upon their fleet needs," Liu says. "There’s a standard option and also a hook-type carriage and a pin-type carriage, so customers can choose from different configurations depending upon what they require." Liu says Hyster also has a range of attachments that are virtually ‘plug and play’. "We work with different suppliers and partners to create a range of attachments to meet any lifting need — a recent one, for example, was for handling steel pipes. 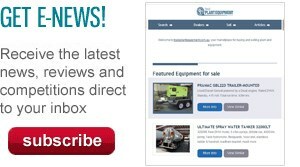 In this way, our customers can receive their truck and the attachment they need and away they go."